Jelena Lunge currently lives and works in York, England. 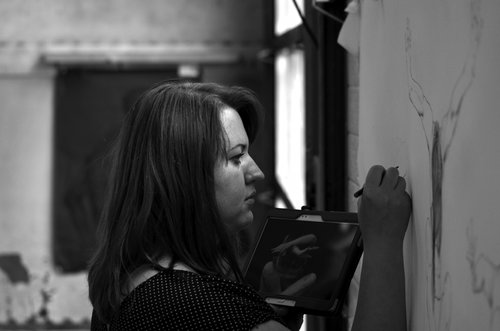 Since graduating with a BA in Fine Arts and qualifying as an art teacher, Jelena has exhibited her work in various galleries throughout the UK and at several international exhibitions. My drawings combines portrait form with the abstract. It incorporates symbolism with touches of fantasy. Using pen and ink I draw inspiration from people, emotions and nature. My ink and pencil become the tools to express the known and the infinite possibility of the unknown, yet unborn, always becoming.